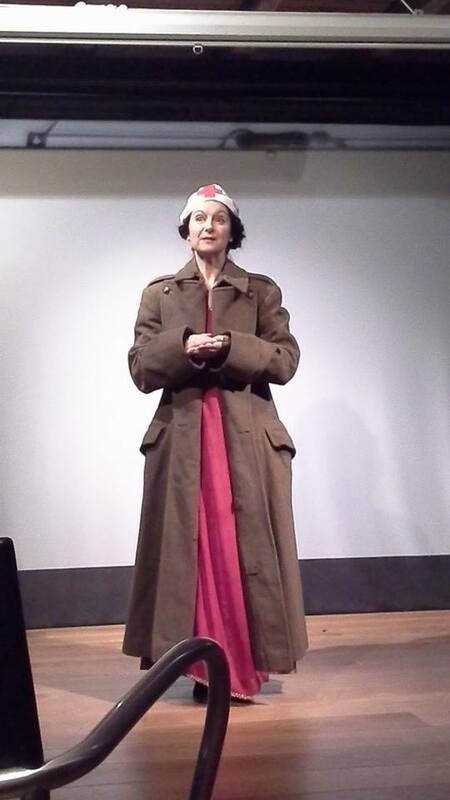 Playing nurse Vera Brittain in TocH, a World War 1 retreat house in Belgium – an extraordinary experience. 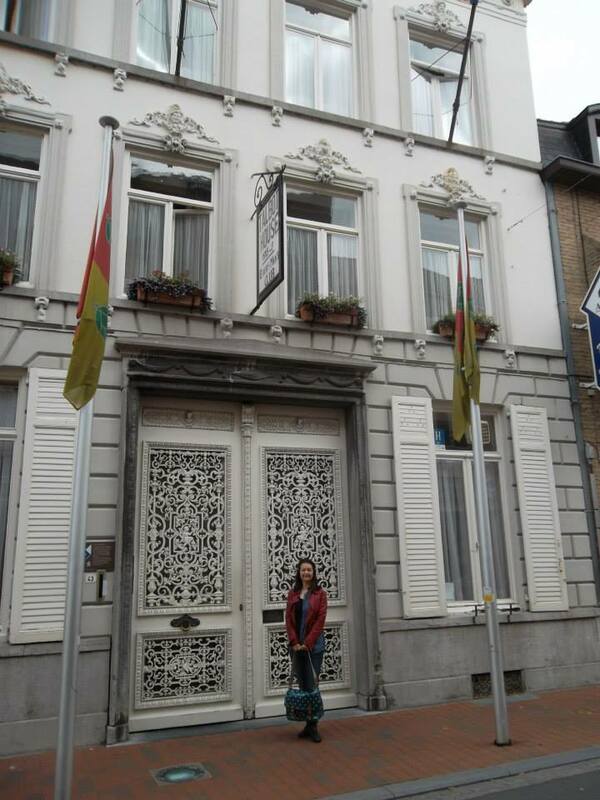 Fiona-Jane Weston about to perform at Talbot House near Ypres, Belgium. September has been a very busy month with some real highlights! 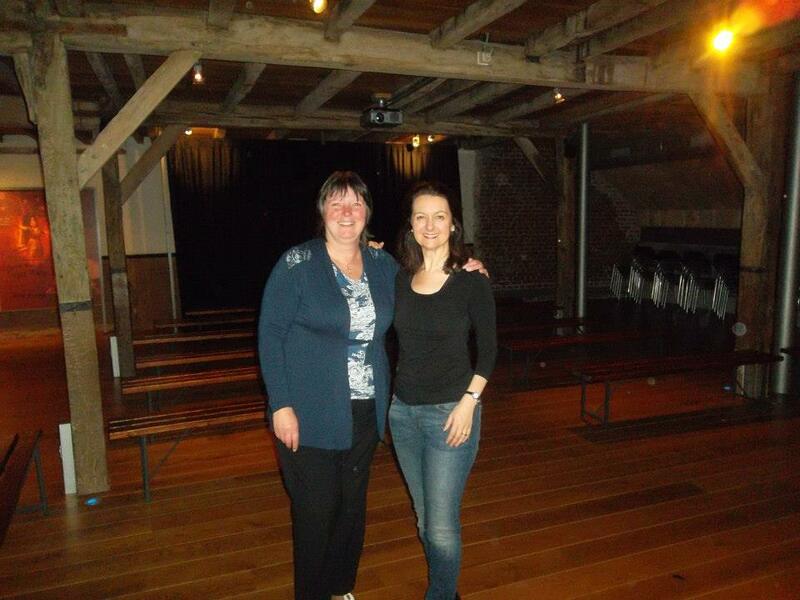 I had the extraordinary experience of staging Wartime Women in the wonderful Talbot House (TocH) in Belgium, in the very same hop barn where the WW1 soldiers put on their own concerts. The audience were lovely and I am delighted to say I have been invited back. Right by the entrance of the house is a friendship board used by the soldiers to leave messages for friends and family they had lost touch with in the area. Imagine how I felt when I saw the name of Gunner A. Weston! Was I walking in the footsteps of an ancestor? September was eventful in other ways, as well. Poor Jen, my lovely MD and usual accompanist on the show got stuck in the States with a delay on her visa. It meant she was unable to take part either in Belgium or the other dates I had in theLeatherhead Theatre and The Mill Studio at the Yvonne Arnaud Theatre, Guildford. William Godfree (very experienced pianist and composer) and Steven Luke Walker (composer of some great musicals and Head of Singing and Music at Guildford School of Acting) ably stepped into the breach, however and I am very grateful to them. 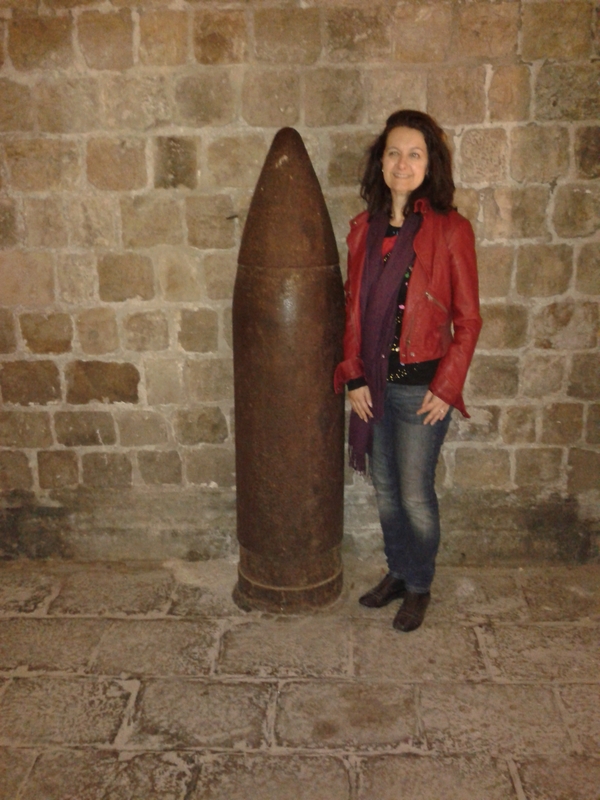 Whoever made this bomb was hopefully taller than me! The girls with bright yellow hands were busy! 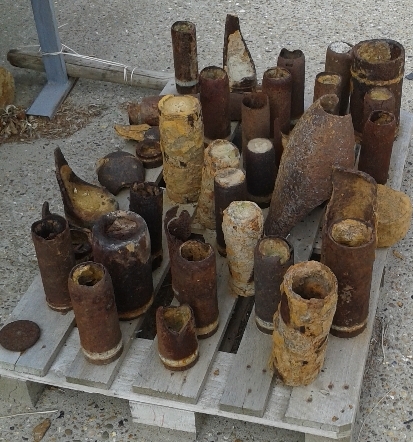 These shells were only recently found in a field. More dates are coming in. October will be spent catching up on writing and reviewing, and seeking out possibilities for investment and public grants for further research into the lives of the amazing women I play and sing about, and November has the following dates confirmed. Tickets can be booked either online or by ringing the theatres. It would be great to see you or your friends at any of these, if you are nearby. This entry was posted in Fiona-Jane Weston news and views and tagged fiona jane weston, Hugh Bonneville, Stephen Luke Walker, Talbot House, TocH, Vera Brittain, Wartime Women: the Khaki Cabaret, William Godfree. Bookmark the permalink.